WITH the end of the FIFA U-20 Women’s World Cup, the country will now set its sights on the much anticipated Rugby League World Cup 2017. However, the world class National Football Stadium (NFS) will still not meet the demands of the four pool matches slotted in for the country. Following the attendance and hype of the recent FIFA tournament, the Sports Minister Justin Tkatchenko acknowledged that the Rugby League World Cup would be a completely different scenario considering the codes national sports status would create a frenzy for seats. “The National Football Stadium can sit 15,000, but really at the end of the day when it comes to the four games that will be played that will be played here in October and November next year for the Rugby League World Cup, we have got United State of America, Wales, Ireland,” he said. “Now they are going to be sold out, they are going to be hanging off the lights the people just to get in to watch these world cup games for the first time as our national sport watching the Kumuls play to see if we can get into the semifinals in Australia, so yes it is going to be a very tough ask. He said the additional seating will allow an additional 5000 fans to witness the matches, and is currently being negotiated. 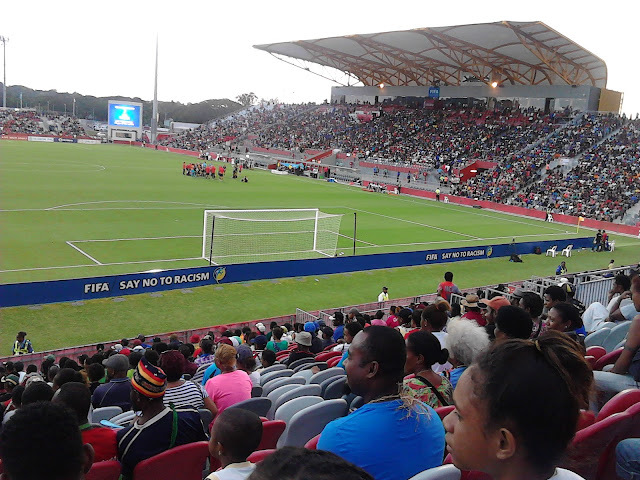 Tkatchenko said the extension in the seating is still in line with the development plan of the stadium that saw the first phase completed under the Tax Credit Scheme with Oil Search PNG. With the second stage of development will see the NFS trustees’ source funding in time to construct the additions before the 2017 World Cup begins. “The National Football Stadium is in two stages. What you see now is stage one which has been competed under the tax credit scheme,” he said. “Stage two will come with the trustee now in charge and how they get that money and how they fund that money will be their own devices through the trustees. “So really it is out of the government’s hands now, we have invested to the National Football Stadium, the trustees have been put in place to manage and look after that stadium on behalf of the state, in conjunction of course with the Port Moresby rugby league board which is on the board as well.